Last weekend saw the Taste of the Kingsway 2016 festival take place for another extremely successful year. 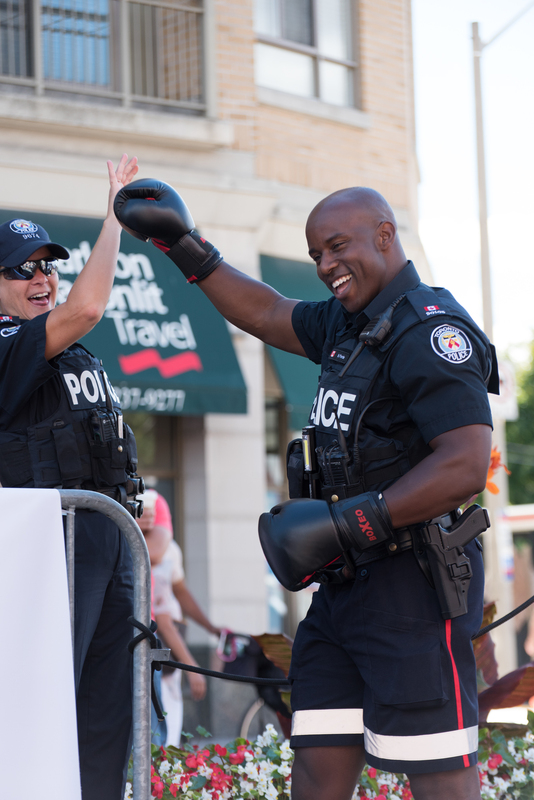 The merchants in the west-end of Toronto, showed off everything that makes it special – from great food, live music, entertainment, and most importantly… Some incredible Boxing! 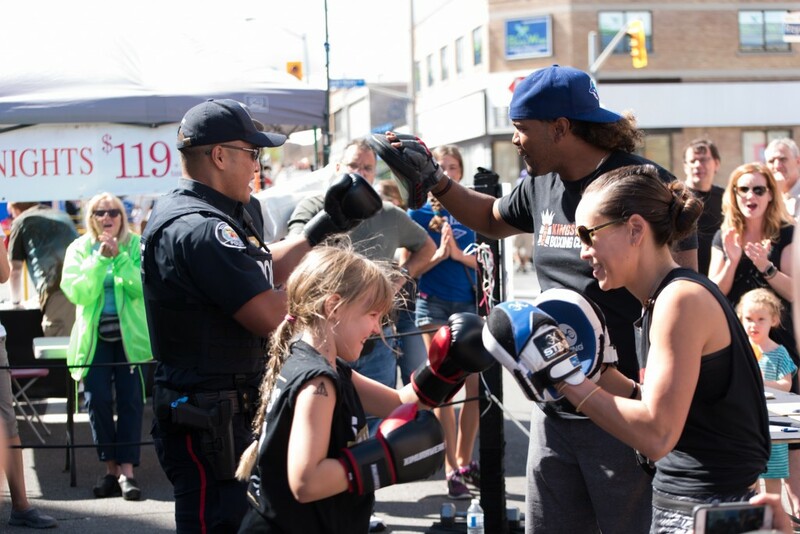 One the most popular attractions of the festival were the boxing demos ran by the Kingsway Boxing Team! Saturday may have been a little wet with rain throughout the day, but that didn’t stop the crew from showing off their skills. The sun came out on Sunday allowing the team to shine! The festival started with an intense boxing demo put together by coaches Jen and Virgil. More and more people laced up the gloves and tried boxing for the first time, instantly falling in love with the sport! 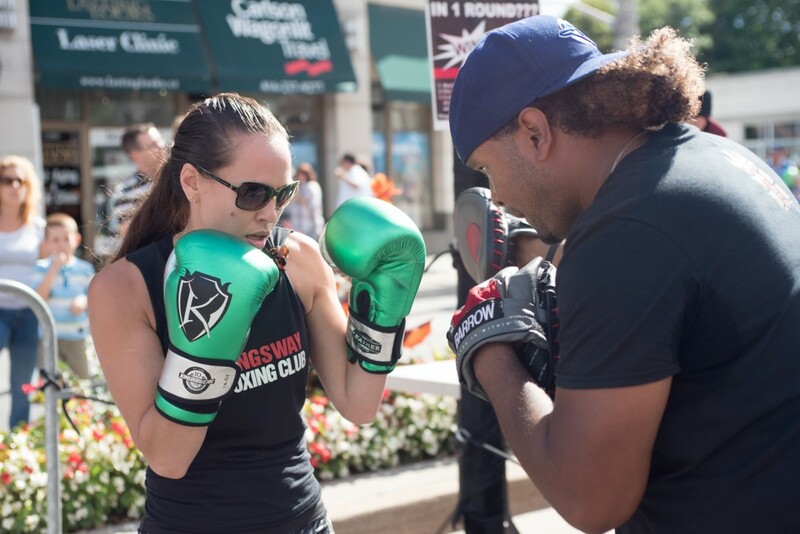 With over 30 coaches and volunteers, Team Kingsway executed hundreds of boxing lessons and demonstrations! 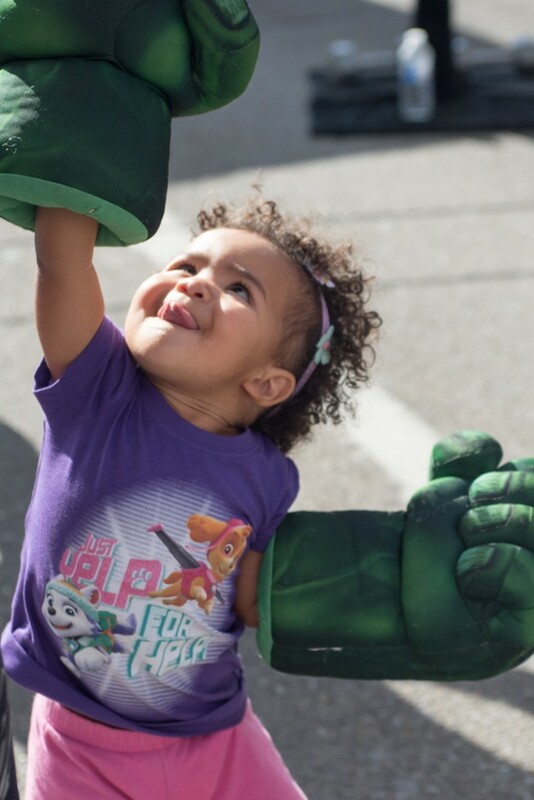 The most popular events of both days, were the two-dollar boxing classes and the 400 punch challenge! 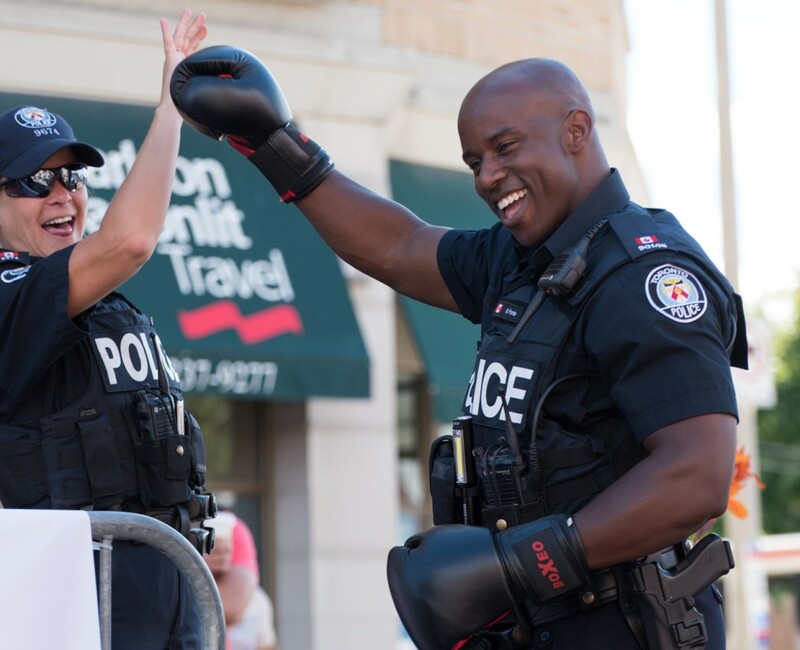 Even Toronto’s finest couldn’t resist the challenge, setting a new record of 572 punches in just two minutes. The new 400 Punch Challenge record was set on Sunday at the Taste of the Kingsway. Toronto Police Officer Nelly Forde smashed the old record and setting the bar high at 572!! The two days saw an incredible number of sign ups for beginner classes, along with kids and teen specialty programs at Kingsway Boxing. 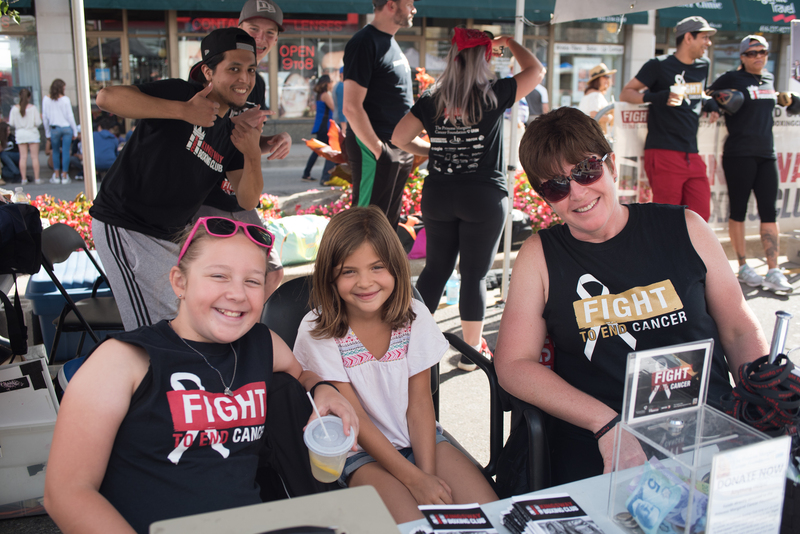 The festival also featured Fight To End Cancer alumni members promoting the upcoming FTEC2017 Fight Team Tryouts scheduled for Oct. 1, 2016. As the word spread about FTEC, more people joined the fight, helping to make the world cancer free within out lifetime! We want to thank our volunteers and everyone who visited us at this year’s Taste of the Kingsway Festival, it was a great turn out and a massive success! The fight doesn’t end here, if you’re interested in donating or even trying out for the Fight Team for next year’s Fight To End Cancer Gala make sure to visit the link above for more information! Together with your support we can’t an end to cancer!